A new Dungeons and Dragons feature film seems to be stuck in development. However, a new project from the team behind the Critical Role streaming series might be the next best thing. 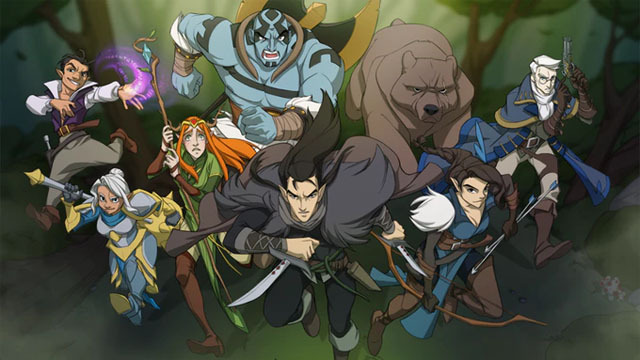 Via ComicBook.com, the series’ stars have announced a Kickstarter to finance an animated special titled Critical Role: The Legend of Vox Machina. Critical Role stars a cast of eight seasoned voice actors who broadcast weekly games of D&D live on Twitch. Since the series launched in 2015, its presence has spawned comic books, podcasts, an art book, and more. The Legend of Vox Machina will feature the cast returning to the series’ original campaign, which spanned 115 episodes and 373 hours of gameplay. Each actor played a different member of Vox Machina, a party of adventurers that includes everyone from a gnome cleric to a Goliath barbarian. The cast has entrusted animation duties to Titmouse, the studio behind Netflix’s Big Mouth as well as Adult Swim series The Venture Bros. and Metalocalypse. Titmouse also developed the new Caught in a Ham short that accompanies Spider-Man: Into the Spider-Verse’s home video release. Jennifer Muro, a veteran of Star Wars: Forces of Destiny and Justice League: Action, is writing the special. Thanks to the show’s loyal network of supporters (affectionately known as “Critters”), the campaign easily sailed through the original goal of $1 million in less than an hour. For another half a million, the creators promised to increase The Legend of Vox Machina’s runtime to 44 minutes. That goal has also been met. Contributors will also get their own beanie embossed with the special’s logo. Are you excited about Critical Role getting its own animated special? Do you plan on donating to the Kickstarter campaign? Let us know in the comment section below!